Advanced materials and speciality chemicals company Solvay will present a paper on the use of metal-to-plastic conversion to drive new medical device designs at MD&M West. The paper will be presented by Anna Maria Bertasa, global market manager for healthcare, will present the paper titled ‘How to Make Specialty Polymers as Strong as Metal,’ where she will discuss how specialty polymers can be used to replace steel devices by incorporating simple design modifications, and how advanced polymers are being used to enable hybrid polymer-metal solutions. The presentation will take place on Thursday 7 February at 10:30 am (PST). Solvay will also spotlight its range polymers and applications. 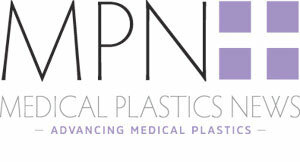 These include disinfectant-resistant polymers like Kalix high-performance polyamides (HPPA) for medical equipment housings, electrosurgical instruments coated with its KetaSpire polyetheretherketone (PEEK), and hybrid surgical instrument sterilisation trays made using Radel polyphenylsulfone (PPSU). Other advanced materials will also be featured.